Beta catenin is a molecule that may play a key role in preventing depression in those exposed to stress, at least if mice and humans share the same biology. 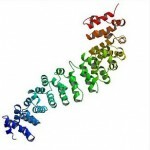 Beta catenin is involved in a number of quite different functions in the cell. To give you an idea, it may be involved in the development of cancer (it is a proto-oncogene), and it plays quite different roles in embryogenesis and in adults. In the language of molecular biology, it “moonlights” in a number of different roles. On the other hand, the discovery may help us to understand how manipulation of glutamate activity (for example with ketamine) can affect depression. 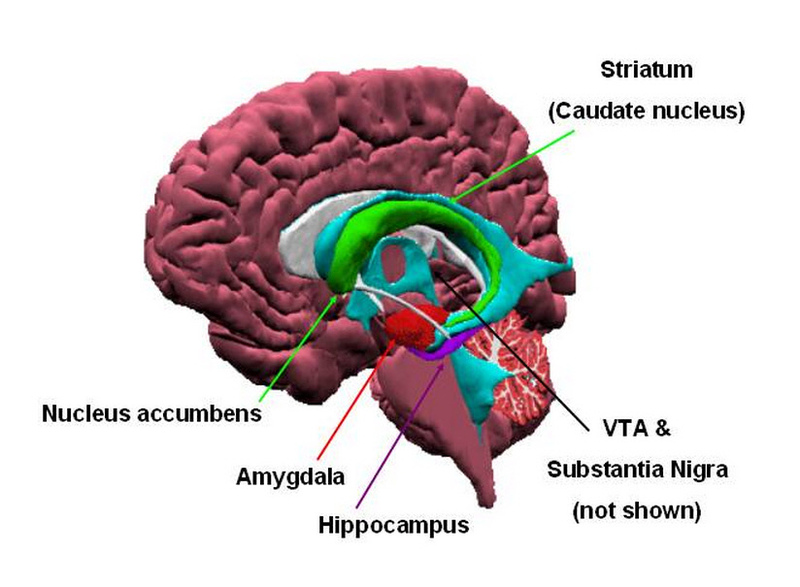 The authors found that the higher beta catenin activity in a very small part of the brain (the nucleus Accumbens) was protective against a defeat response to aggression in mice. Defeat responses are one of the best models of human depression. They can best be understand as a futility response to a threat. Instead of defending itself, the defeated mouse goes into the corner of the cage and refuses to do anything to protect from attacks from the other mouse. The nucleus Accumbens (NAc) is a part of the brain that is essential to the experience of reward. Dopaminergic neurons in the NAc regulate reward motivated behavior. Reduced dopamine activity in the NAc results in a particular kind of apathy – an individual who will not do things to experience pleasure. In others words, someone who appears to be anhedonic. The effect appeared to be related to one beta catenin activity in one specific type of dopamine neuron in the NAc: D2- but not D1-type medium spiny neurons (MSNs) in the NAc. These neurons appear to be the ones that are involved in the development of drug addiction and craving after being exposed, for instance, to cocaine. The authors showed that glutamate neurons from the Medial Prefrontal Cortex to the NAc were the primary neurons that regulated activity of beta catenin. And this takes us back to the human implications. Because it may explain how it is that ketamine (a glutamate blocker) can have robust anti-depressant effects in some patients with depression (and why it is that anhedonia may be the key symptom that responds to ketamine). In their study glutamate activity in the neurons in the Medial Prefrontal Cortex to NAc nerve tracts was inversely correlated with beta catenin activity. 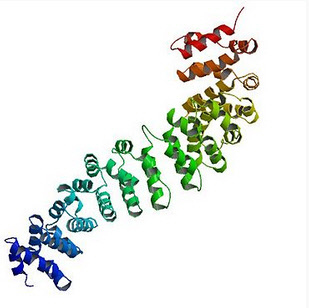 Higher glutamate activity in those specific tracts led to lower beta catenin activity. And, of course, ketamine is a glutamate blocker, so it should increase beta catenin activity. Stay tuned – this story could be very important!